Can we be honest about something? 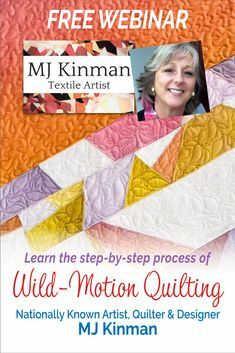 Why is it so hard to buy gifts for fellow quilters and sewists? You don’t know what they already have or want, and for some reason we don’t usually think to make them something even though they would appreciate and understand the time and effort it took to make something rather than just go out and buy it. I don’t know about you, but I often find my best sewing friends are the hardest to find the right gifts for. So I have asked my friends, done research, and I came up with a list of things that I think would make great gifts. The holidays are fast approaching, so hopefully this list will help you find that perfect thing. Sulky 12 wt. Cotton Petites™ and Printable Sticky Fabri-Solvy™ – If you have a friend who does any hand embroidery, this is the combo for her. You can read all about how wonderful Sticky Fabri-Solvy is for hand embroidery here from my friend Wendi Gratz at Shiny Happy World. I personally love using the Petites too because the thread is 50 yards on a snap end spool. That means no more separating floss or worrying about how to find the end. The end of my thread is always safely tucked under that snap end cap! 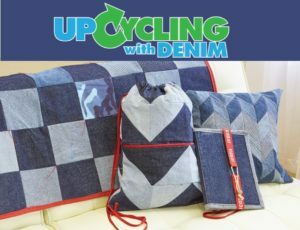 Snap bags – We have piles of fabric in our houses and have made just about every bag imaginable for everyone we know but we carry our hand projects around in a plastic zip top bags. Pull out some of that sewing related fabric and follow this tutorial. 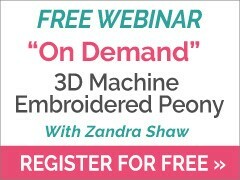 It will take you no time and your sewing friend will love you for it! 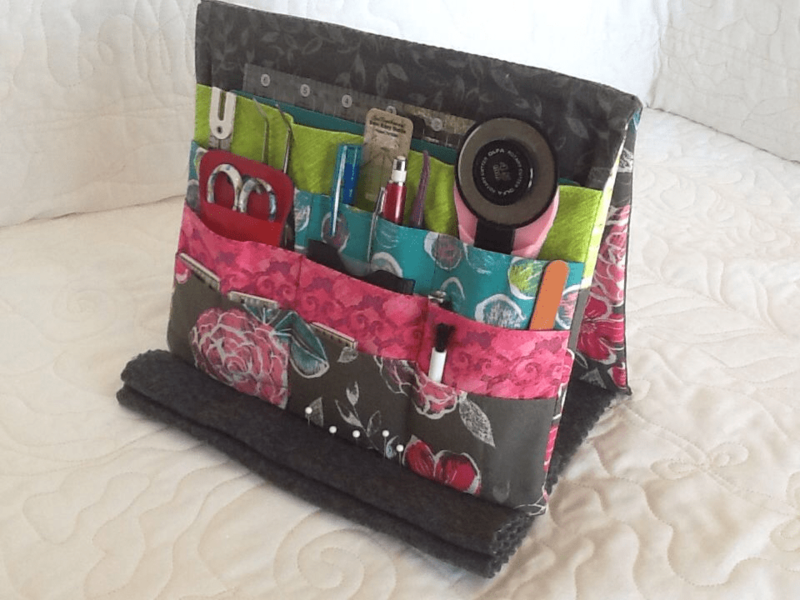 Eyeglass Case Sewing Kit – I love this project for lots of reasons! One, you are upcycling an old eyeglasses case. Two, who couldn’t use an on-the-go sewing kit! Three, you can customize this gift to whatever type of sewing your friend does. 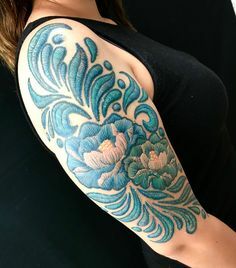 Is she a hand embroiderer? Then fill it with applique pins and a couple spools of Sulky Petites thread. Is she going to need this for sewing binding? Add some Clover Wonder Clips, a corner tool and a spool of Sulky PolyLite 60 wt. thread. My good friend made this one and she said she just used hot glue to add the pin cushion and the magnets that hold her scissors and needles. Glass head pins – Although I know I should use glass head pins, and would love to have some, they just aren’t anything I have thought to buy for myself. 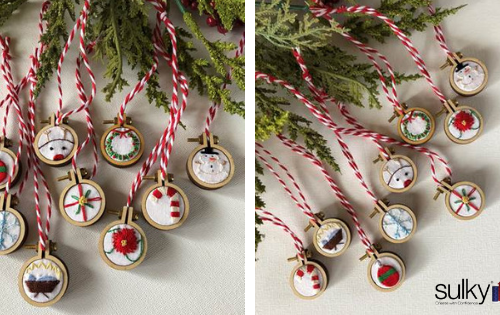 At less than $5 (they are on sale at Joann.com, check it out here) they are a great gift for anyone who sews! KK 2000 Temporary Spray Adhesive – If you or someone you know has not already tried KK 2000, it is a must that you give this to yourself and your sewing friends for Christmas. KK 2000 saves so much time, is safe for the environment and has over 70% more usuable material in the smaller size cans than an ordinary large-can spray adhesive. Because of KK 2000, you never have to pin baste again (unless your project is large – then a few pins). WOOHOO! 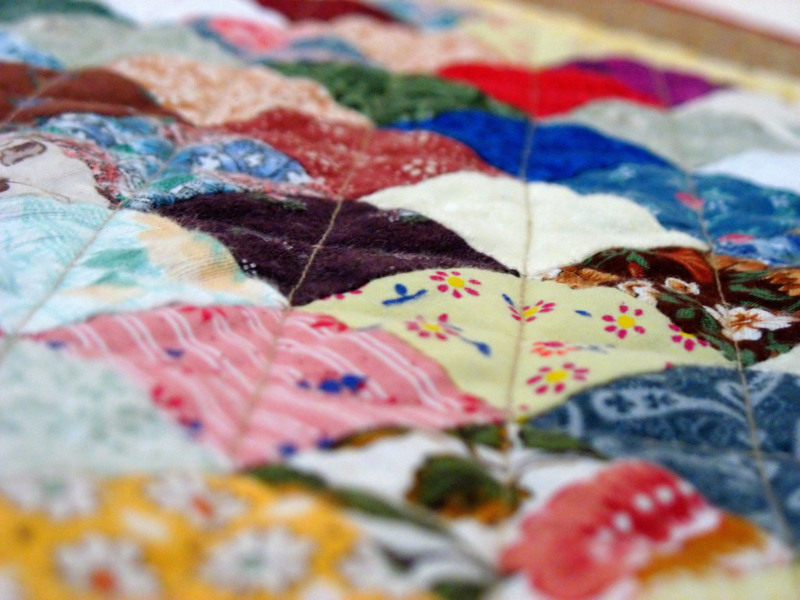 A Quilt – Have you ever given a quilt to someone and as you were handing the gift to them, you started to question if that person was quilt-worthy or not? When giving a quilt to a fellow quilter or sewist, you know they will appreciate the amount of work, love and effort that went into the gift. And chances are, they haven’t received very many quilts as gifts! 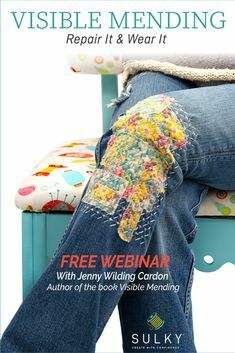 Pincushion – I don’t know a single person who sews that doesn’t love pincushions. 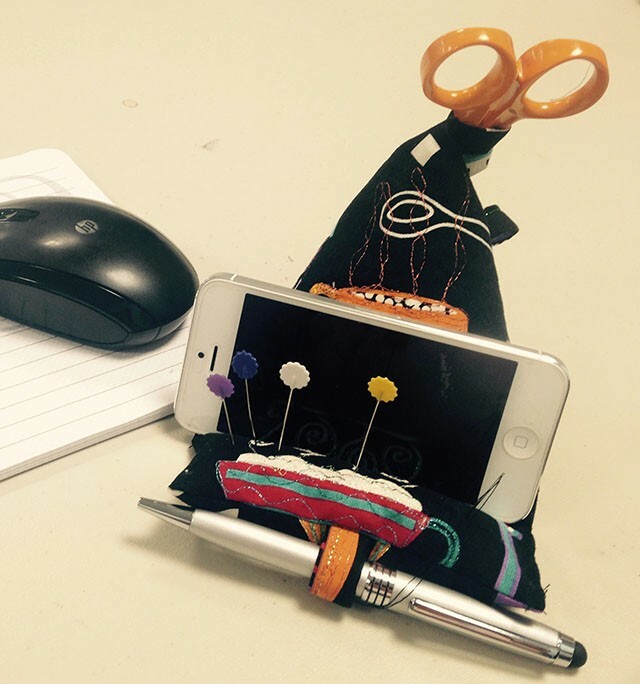 Check out this blog post or Pinterest for some awesome pincushion ideas. 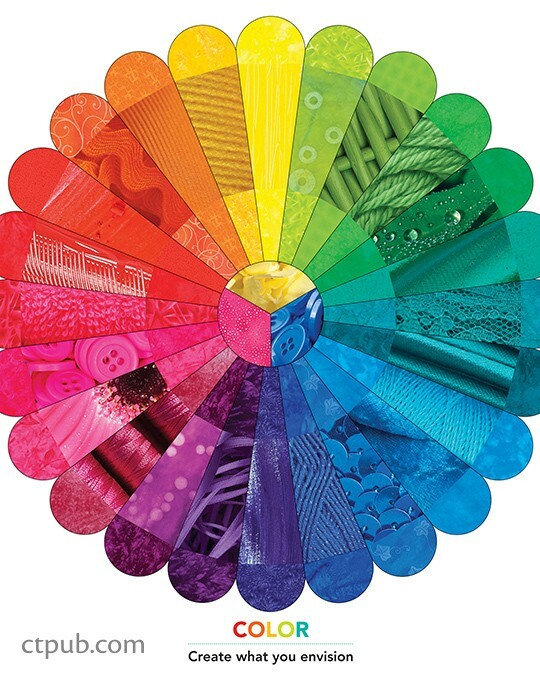 Color Wheel – A color wheel is an amazing tool when planning out any sewing project, but even if you never use one, they are so pretty! 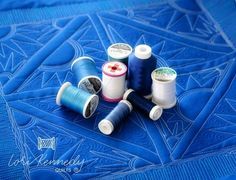 Your sewing friend is probably just as in love with color as I am. There are a million color wheels, but this is a great one at an amazing price. Clover Wonder Clips – I have mentioned these little guys many times in my posts. I love my Clover clips! I am hoping to get the larger green ones in my stocking from Santa this year. If I can clip instead of pin, I do. They are especially useful when sewing with kids. My 8 and 9 year old girls have no problem using the clips, but they stick themselves all the time with pins! I would recommend the 50 clip box here and the larger green ones here. Scissors – All of my sewing friends are obsessed with scissors. It doesn’t matter how many we have, we still “need” more. I just bought 2 pairs of duck bill scissors in 2 different sizes. I have no idea why I would possibly need these in 2 sizes, but I have them and that makes me happy! 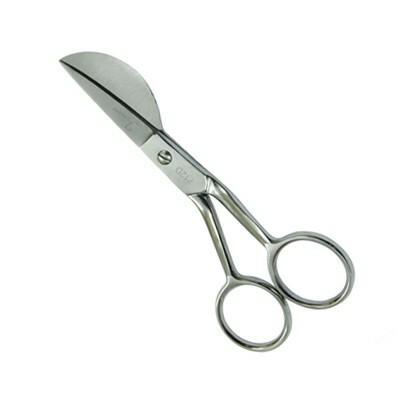 Here is a great website to buy good quality scissors at great prices. 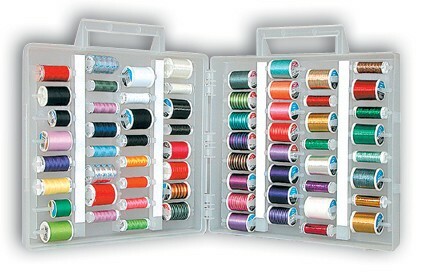 Sulky Universal Slimline box – Storage is almost always an issue for sewists! 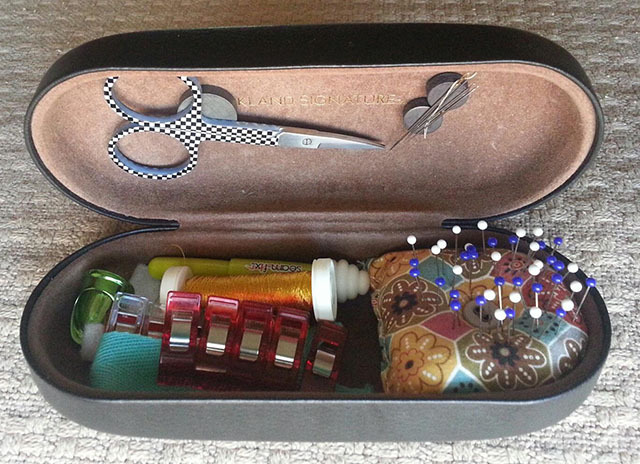 I love the Sulky Universal Slimbox box for my thread because it holds lots of different sizes of thread, I can see through it to see what is inside, the handles make it easy to take to a class or on a quilting retreat and when it opens, it opens flat. 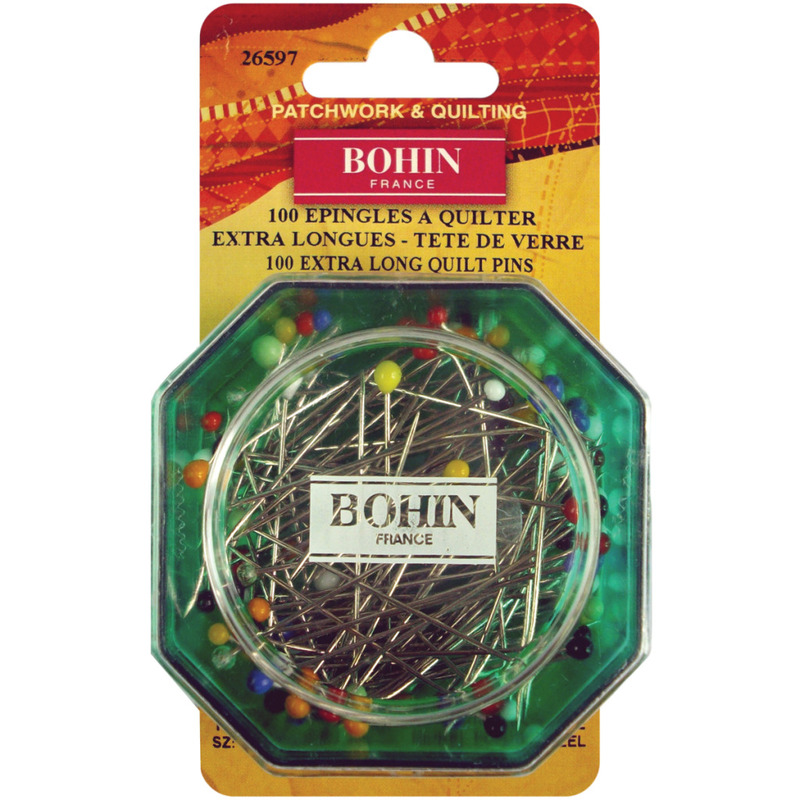 This is a great gift for a friend that already has all the thread and notions she may ever need. Who knows, once her thread is organized, she may realize she has room for more! You can buy them here. 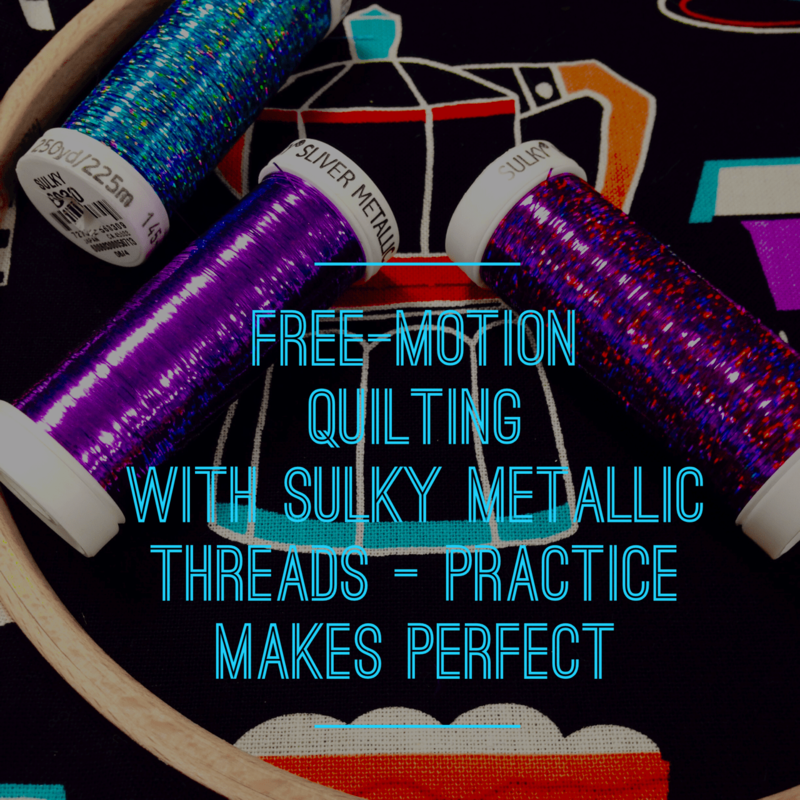 Thread Set – What’s not to love about a set of beautiful, luscious colorful thread all lined up just begging you to create something fabulous with it! Tooly – I haven’t made this pattern yet, but I love the idea and I have read over the pattern. It seems very well written with great illustrations. 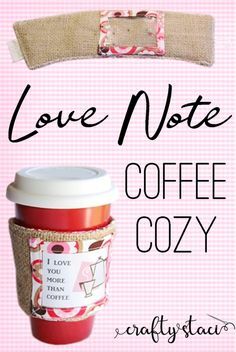 I definitely plan to make one for myself and for friends. The cool thing about this is, if you don’t want to make it, just order your sewing friend the pattern! You can do it as an instant download through Craftsy here or you can order an actually paper pattern through the website Sew Together. I hope these ideas help you get some great gifts for your sewing friends (Don’t forget a special gift to you, from you, with love)! This is the most practical and idea filled list ever, and this from a seasoned sewer/ crafter who thought she had and knew it all!!!! Good job. Wow, Becki, Thank You! What a wonderful compliment. It was a fun list to make. Great idea, Maggie! Send me a picture of how it turns out.